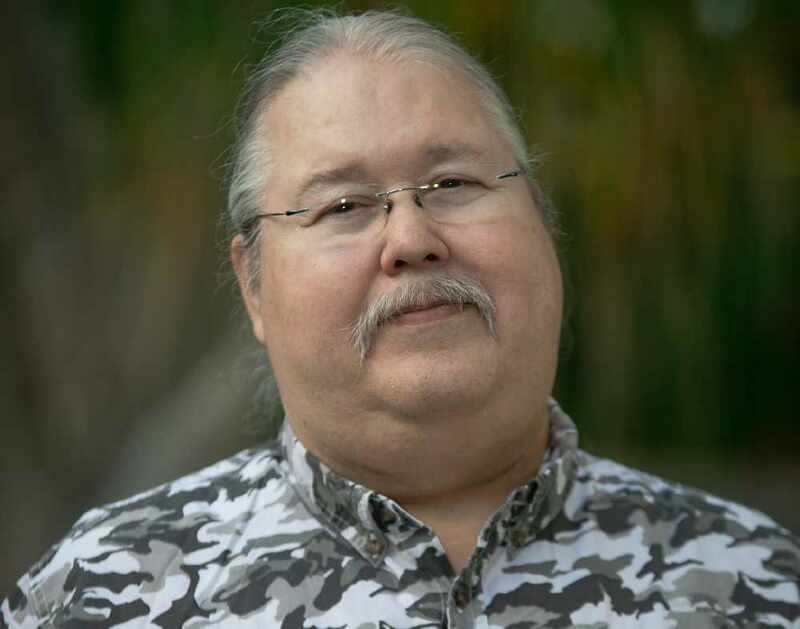 Russell Diabo wants First Nations to take control back from the federal government. Diabo, who has been a policy analyst for decades, is one of four candidates challenging one-term incumbent Perry Bellegarde for the position of national chief for the Assembly of First Nations. “It’s my view, at this point, we’re basically seeing a repeat of the 1969 White Paper in terms of limiting and terminating our rights in the form of the policy and legislation the Trudeau government’s been doing since it got into office,” said Diabo. He is quick to point out that the White Paper was the product of another Liberal government led by another Trudeau, Justin’s father Pierre. The White Paper, which in part called for the termination of the Indian Act and treaties, was met with extreme opposition by Indigenous people and was repealed. Diabo said the 10 principles Justin Trudeau is intending to use to guide the review of existing laws, policies and operational practices with Indigenous peoples only serve to give the federal and provincial governments more jurisdiction. He says fiscal policies will be used to induce Indian Act bands into accepting the Liberal’s legislative framework and only bands who enter a self-government agreement or modern treaty will be recognized as Indigenous governments. Trudeau’s intentions will undermine the United Nations Declaration on the Rights of Indigenous Peoples, Diabo asserts, and he accuses Trudeau of “co-opting” such terminology as “nation-to-nation” and “reconciliation” and even “closing the gap,” the name of a paper authored by the AFN to put First Nations’ issues front and centre during the 2015 federal election, to make it sounds as if he’s on side with First Nations. Not so, says Diabo, as Trudeau has given these terms his own definition and they don’t jibe with what First Nations mean or want. Diabo said if he becomes the new AFN national chief he will immediately put the brakes on the legislative path the government is pursuing. “Instead of just going along with the Liberal agenda, we’d put a First Nations rights agenda back on track,” said Diabo. Diabo’s campaign is highlighted by the need to protect treaty and inherent rights from Trudeau’s “termination plan”; negotiating with the federal government on how to move beyond the Indian Act structure and implementing self-determination as dictated by First Nations; and the “need to confront” colonialism and racism as evidenced through the Tina Fontaine and Colten Bushie cases. He also wants to see fundamental changes made to the AFN, resulting in better communication flow to and from the grassroots. “It’s a top down secret process and that’s why a lot of our people don’t even know what’s coming down and that’s why I decided to run. My campaign, it’s called Truth before Reconciliation because I don’t believe the Truth and Reconciliation Commission is enough to address colonization and racism of the past 151 years. We need to do more,” said Diabo. “I’ve also been telling the chiefs that we’ve got to harness the energy of our people and we have to mobilize our people to get involved to help put the pressure on (the government) to help shut (legislative changes) down,” he said. Diabo says the AFN needs to return to the role of analysing national policy and reporting the implications to the chiefs, who then inform their band members. Right now, he says, unilateral moves by Trudeau – including the 10 principles to guide the Indigenous relationship, the dissolution of the department of Indigenous Affairs, and Cabinet’s “secret law and policy committee” struck to analyse policies and legislations–have all gone unanalysed and unchallenged. Even the $17 billion over seven years allotted by the Trudeau government to address Indigenous needs is problematic, said Diabo. No mechanism has been put in place to track its benefits, to analyse where it’s going in the new fiscal policies, and once the money is gone First Nations have to return to Ottawa and ask for more. “It’s a drop in the bucket compared to what’s needed, but because it’s more than what was there it’s an accomplishment. But I wouldn’t say it’s because of Perry (Bellegarde), but because of the Trudeau government and the commitments they made,” he said. Diabo also doesn’t count the signing of a fiscal agreement between the AFN and federal government as an accomplishment, but instead as one more indication of the AFN becoming a “super band office” and Trudeau using the national Aboriginal organizations for his top-down approach. The AFN needs to be brought back to a lobbying and advocacy organization, he says, adding he can envision it as a “leaner and meaner” decentralized organization with the national chief replaced by a national advocate. Changes need to be made soon, he adds. In his many years as a policy analyst, Diabo, from Kahnawake, worked with national chiefs David Ahenakew and Ovide Mercredi. He points out that Mercredi, who held office from 1991-1997, never sat as a band chief, although he did serve as AFN’s regional chief for Manitoba. Diabo has also advised community band chiefs. “Basically I’ve been shadowing the chiefs and national chiefs with all the work I’ve done over these decades,” said Diabo. Chiefs and their proxies will vote for the national chief on July 25 at the 39th annual general assembly in Vancouver. Watch for the last candidate profile tomorrow a.m.